Want to improve cash flow in your business? Quit fixing your hair and read the guide below. 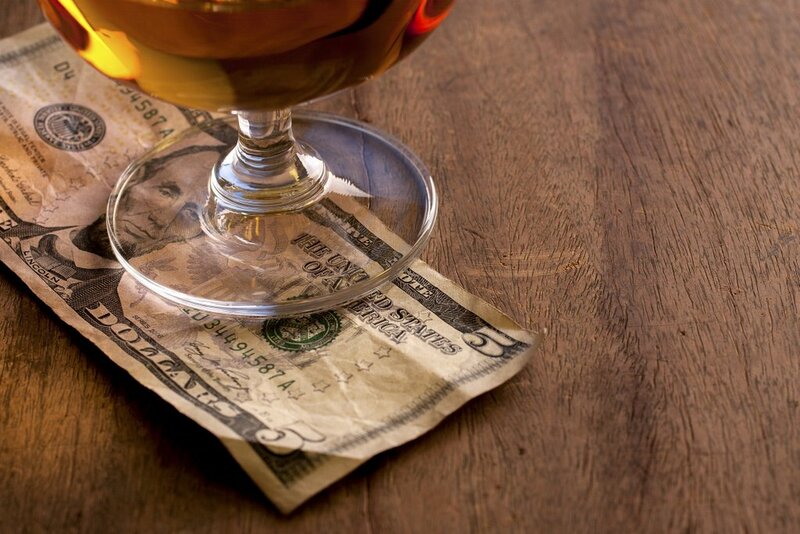 Everyone loves cash, but few breweries focus specifically on improving cash flow. The focus is on sales growth first, and everything else second. A distant second. Nothing wrong with sales growth, it’s critical to success and sustained viability. However, sales growth eats cash (increased inventory, accounts receivable and adds to personnel). The key is to grow sales profitably and keep a close eye on the impact this has on cash flow. Positive cash flow is critical to ensure brewers can pay the bills, re-invest in the business and take dividends. Profitability is important, but without solid, positive cash flow, profits are just numbers on the bottom of your income statement. This guide (and its second part posting tomorrow) was written to give you actionable steps to follow to improve cash flow in your company, while still growing the beloved sales line on the income statement. My profit and loss statement says I made $20,000 last month. How come I only have $200 in my bank account? There are only 10 laws in business. No. 1: Don’t run out of cash. No. 10: Don’t run out of cash, and all the rules in between don’t mean crap. Cash is the fuel that drives your business. Your car won’t go without fuel and neither will your business. Don’t lose sight of this fundamental rule: Positive cash flow is king. Cash flow and profit are not the same. The P&L records revenue and expense as transactions happen. Sales are recorded when product is delivered, expenses are recorded when they are incurred, and when we have an obligation to pay them. The cash side of these transactions — when the customer pays for the product, or when we pay our invoices — often occurs at a different time. For example, we record a sale on the P&L when the product is delivered, but the cash isn’t recorded until the customer pays. Collecting payment on the sale may take days, weeks or even months. In some cases, the cash is never received at all and we have a bad debt. A sale doesn’t count as positive cash flow until the customer pays, and the check clears the bank. This is one big difference between profit and cash flow. We purchase raw materials inventory, store it until it’s turned into beer, and delivered to the customer. The cash is gone as soon as we pay for the inventory, but we don’t record an expense until we sell the inventory to the customer. The cash flow is lowered to pay for the inventory, but the expense on the P&L is unaffected. Profit looks fine; the cash is gone, sitting in the form of inventory in the warehouse. Learn the ABCs of beer costing. Together we can understand how much money goes into each brew. The purchase of delivery trucks, forklifts and brewery equipment takes a lot of cash, but these costs don’t show up right away on the income statement to reduce profit. You pay the cash today for that truck, but you expense the purchase over five years in the form of depreciation. Many profitable companies have no cash, and some unprofitable companies have plenty of cash. This seems counter-intuitive, but not when you understand that profit and cash flow are two different things. We’ve been taught that the bottom line on the income statement, the profit, is the measure of a business’ performance. Profit is good, and losses are bad. Unfortunately, the cash flow doesn’t always follow the profit. Now that you understand there is a difference between cash flow and profit, let’s look at the Five Drivers of Cash Flow and how you can apply these in your business to master your brewery cash flow. You may notice that only one of the cash flow drivers listed above is related to the P&L (operating performance). All the others are related to the balance sheet. The balance sheet doesn’t get a lot of attention during the monthly financial reporting. However, to master your cash flow you’ll need to give the balance sheet some love because cash flow is heavily influenced by what happens here. Three of my favorite words: Cash Flow + System. Put them together and it’s like Batman and Robin, an unstoppable dynamic duo. Let’s head to the bat cave. A system is defined as a set of procedures according to which something is done. It is an organized method to follow, to achieve a particular result. The Cash Flow System, is a step-by-step method you can implement in your business to keep on top of your cash flow drivers and increase cash flow. Know the score. Use a metric to track how well you are doing with each cash flow driver. For example, the Days on Hand in inventory, or Days Sales Outstanding in accounts receivable. Educate your team on what the metric is, and how it’s calculated. Show them how they can make a difference and improve the result. Set a goal to improve the score, the metric. Use industry benchmarks, or benchmark against past company performance. Communicate the goal to those who can influence the outcome. Monitor the score, track progress toward the goal, and provide regular updates to your team. Celebrate the win. When you hit the goal, take a moment to celebrate and praise the team. Free beer works well here. Below is the first specific example of how the Cash Flow System can be implemented in your company (the next four will come out tomorrow at 12:30 p.m. EST). The system is used with each cash flow driver to measure, manage and improve the number. Every state’s a little different. Vermont is a cash-on-delivery state, while New Hampshire gives retailers 15 days to pay. Accounts receivable are your uncollected sales. You’ve made the beer, delivered it to the distributor or retailer and now you need to collect the cash. Many states have credit laws which require retailers to pay you within a certain time period. For example, Vermont is a cash-on-delivery state, while New Hampshire gives retailers 15 days to pay. In New Hampshire, if the retailer doesn’t pay in the required time frame they are put on a “list” and are unable to purchase beer from any other distributor until the invoice is paid. I always liked that rule. 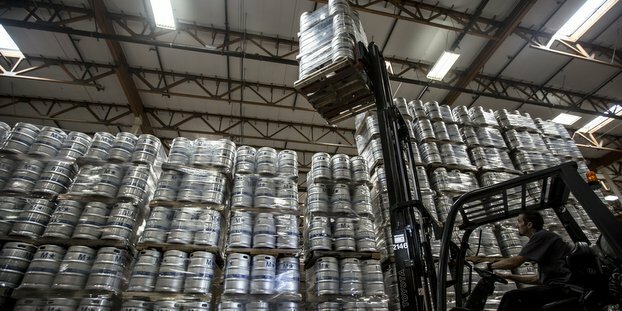 Here are five steps to make a better beer distributor contract. Learn just by clicking, clicky! Establish a regular routine to monitor the progress toward the goal. Creating a Brewery Financial Scorecard is a good start — a daily email from your credit manager or finance person with the DSO calculation helps to keep on top of the number. This is only part one of the Ultimate Guide to Cash Flow for Craft Breweries. Part two, which delves into the four other major examples of cash flow drivers, will post tomorrow at 12:30 pm. EST).